Cocktails and tapas at a hip bar with cosy wooden booths, retro decor and a small cinema space. Small kitchen with a dinner menu of Mediterranean-inspired share-plates. Cocktails, classic and contemporary. Wines, old and new world. Bookings recommended. The SunRa room (between front bar and cinema) can be booked for groups of up to 35, with catering available if required. 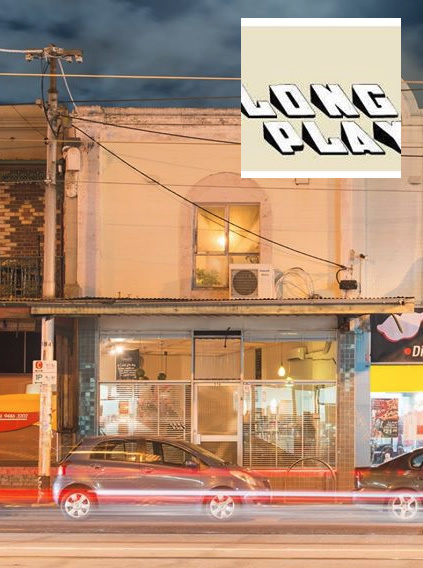 The LongPlay cinema is a free space for non-profit events with 20 or more guests (maximum seating 30) during our normal opening hours. Catering for small functions is available at several price-points, please enquire.